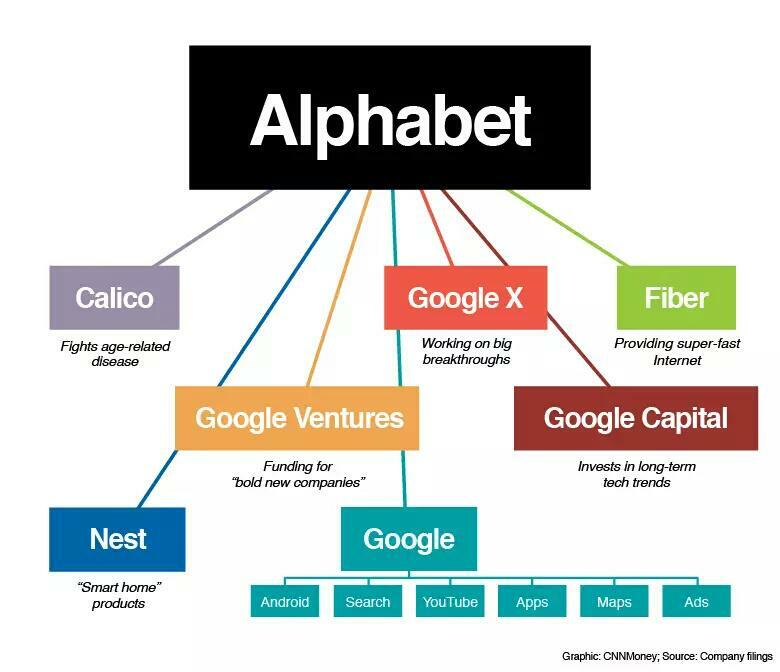 Alphabet will be a holding company that has several other companies owned underneath the Alphabet umbrella. Google will of course be the biggest of the subsidiaries and will retain Android, Search, Maps, Ads and YouTube under its own smaller umbrella. The other projects that were previously under the Google umbrella will now fall under Alphabet as “sister-companies” to Google. Google itself will now be under the direct leadership of Sundar Pichai as the new CEO. Sundar has played a prominent role in Google and has been moving more and more into the limelight, first with his Chrome OS assignments and then as he took over Android. This is an interesting and not unprecedented move for Google. It isn’t uncommon for companies to do a restructuring similar to this one (in fact the company I work for did one not too long ago). The first question everyone always wants to ask is why. Larry did a pretty good job of laying it out in his blog post but he does it with the “corporate speak” of the day. To simplify what he said, it allows Google to focus on what Google does best. Google itself will no longer be making contact lenses, be an internet provider, developing drones and self-driving cars. Google will be focused on Android, Search, YouTube, and etc. Alphabet will be there to drive the different companies in the direction Alphabet wants them to go, but each individual company focuses on it’s end goals without having to worry about the extra fluff of their other companies. Google may have jumped the gun on this one as they don’t currently own the Alphabet trademark, domain or Twitter account but knowing Google they won’t let that stand in the way of their success. I believe this was a good move for Google and Alphabet and I am excited to see what other changes are in the works.